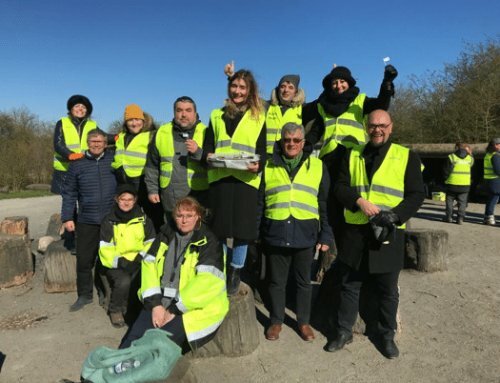 The 4th transnational project meeting took place on 9th and 10th April 2019 in Bologna, Italy. 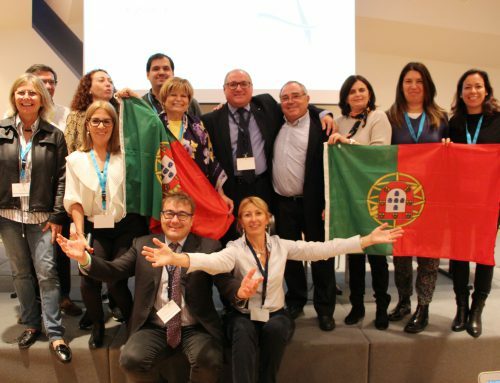 It was hosted by Associazione Cnos-Fap Regione Emilia Romagna in their recently opened office in Bologna, shared with UNISER, project partner and EfVET member. During the two working days, all partners had the opportunity to reflect on the progress so far and plan the next steps towards October 2018 and until the end of the project. Christoph Brehme, external evaluator presented the main points of his mid-term quality report. The overall assessment of the work in the first year of the project is very good. His main recommendation is to focus on working with and engaging many more students to use the playlists developed and to be developed during the project implementation. 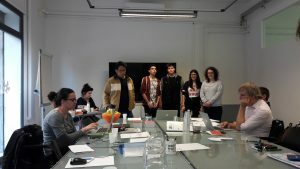 The students from Congregación San Francisco de Sales – Instituto Politécnico Salesiano, Spain, currently on a 3-weeks (21 days) individual work experience in UNISER, Italy had the opportunity to present their experience and to give feedback and suggestions about the Let’s Play VET platform. These will be taken into consideration by Bdgecraft Ireland Limited, IR- the partner responsible for the platform development. The project, with a mission to make a switch into learning methods for a better students’ experience, is entering into a very important phase to test the Let’s Play VET playlists. 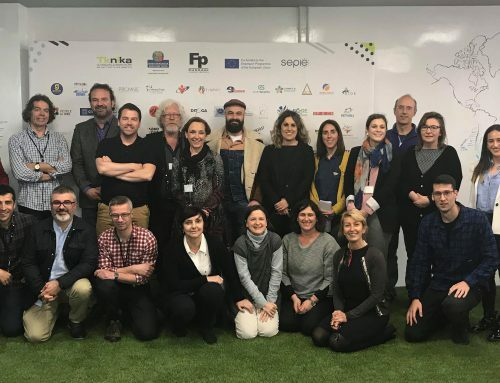 This is why, in May and June 2019, the four partners from Hungary, Italy and Spain, which are directly working with learners, will organize local multiplier events to present the playlists concept in VET education and training, as a way to make it attractive to young people and to attract other teachers and tutors to discover and use the Let’s Play VET playlists. 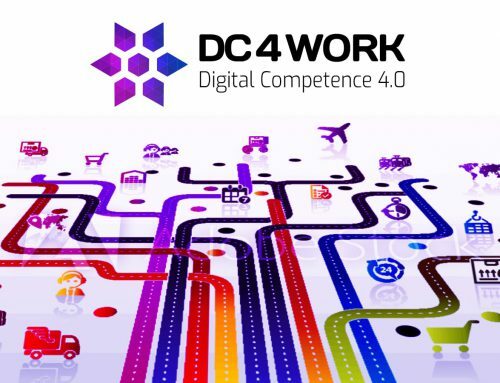 Improving the integration of key competences and learning mobility in VET curricula. You may find out more about the project by visiting the website.